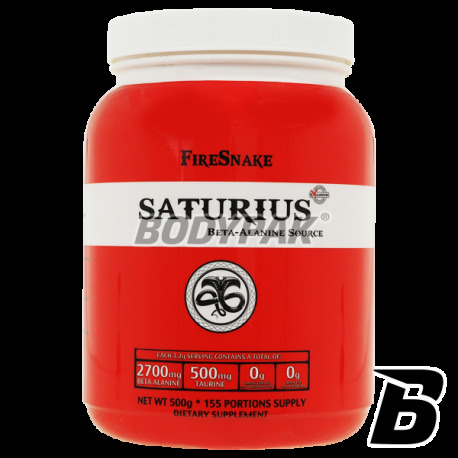 Fire Snake Saturius is pure, pharmaceutical grade Beta Alanine supplement enriched with Taurine. 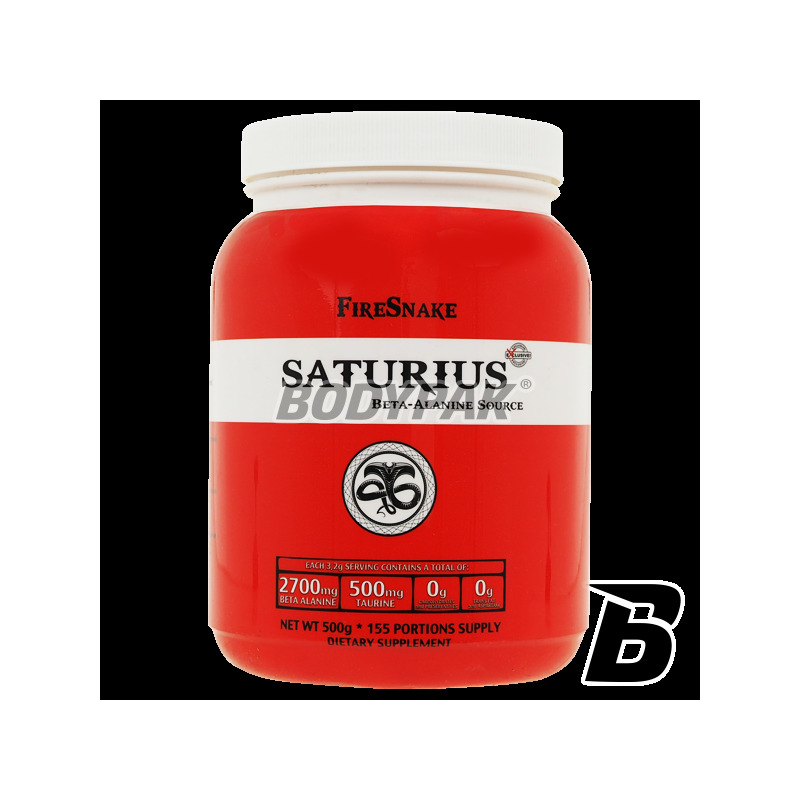 FireSnake Saturius is an ideal source of Beta-Alanine - an amino acid whose main task is to increase muscle strength and their strength, which affects the body's effort capacity. Increasing the amount of carnosine in the cells of striated muscle Beta Alanine provides a favorable environment of their work extending the same period of effective treningu.Stosowanie Beta Alanine protects your muscles, prevents acidification, and significantly accelerates regeneration.